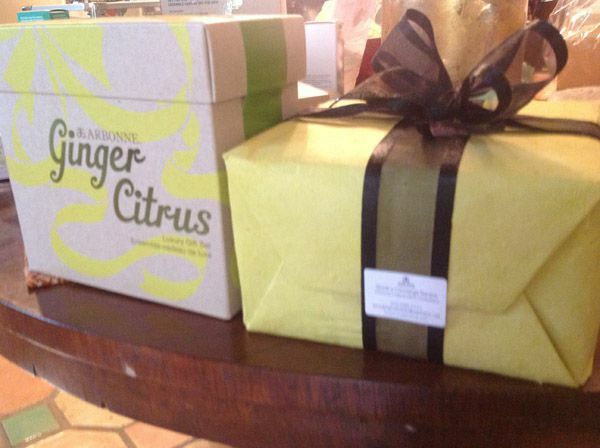 Ginger Citrus Gift Set. Retails for $79. Young Angels price $69. Slap a bow on it and you're done. Debbie@youngangelsofamerica.org to buy. We need to sell 20 by end of year. OR-- go to www.youngangelsofamerica.myarbonne.com and buy something else. Tis the season to take a shower. Shampoo. Moisturizer. Turn back the aging hands of Time. Twas the night before Christmas and all through the house not a creature was stirring because they were all lying down with hydrating masques on. Proceeds support our 109th St. Dance & Music program. ARBONNE. NO PARABENS. NO PHTHALATES.